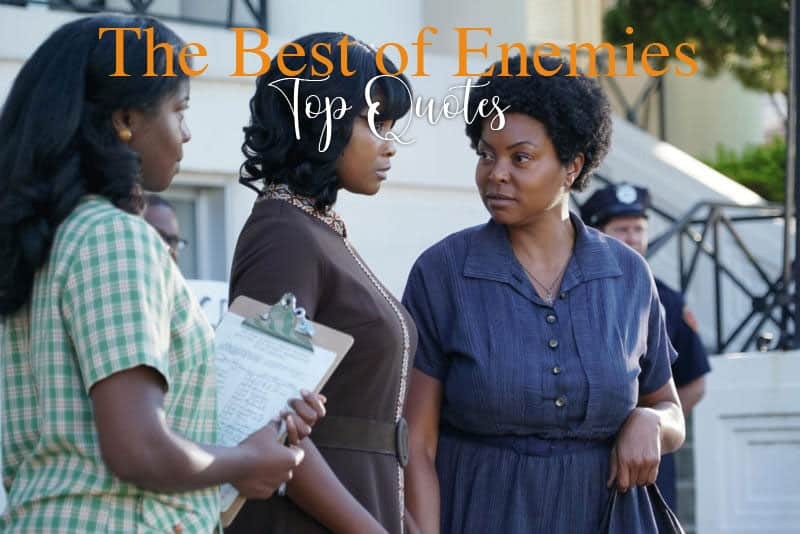 Have you seen the new movie The Best of Enemies? It is now playing in theaters. If you have stumbled across this blog post, it might be because you are trying to remember you favorite line or dialogue from the movie. We sent Myla Tosatto to review the film and to also share her top quotes from the film with all of you! If you have favorite The Best of Enemies Quotes be sure to share them with us below. “If you truly represent your people- represent them.”- Bill to C.P. “I want to talk to you.”- C.P. “She looked at me like I was some kind of a monster.”- C.P. “When everybody stops fighting, who are you going to fight?”- Mary to C.P.